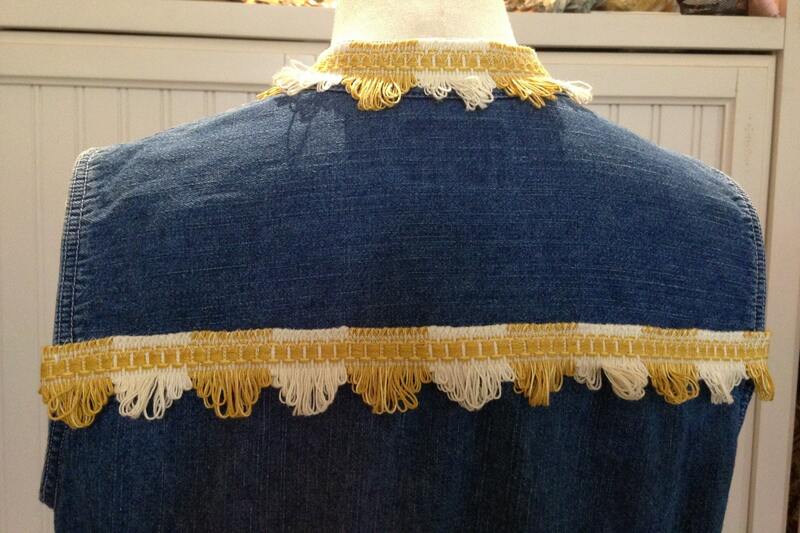 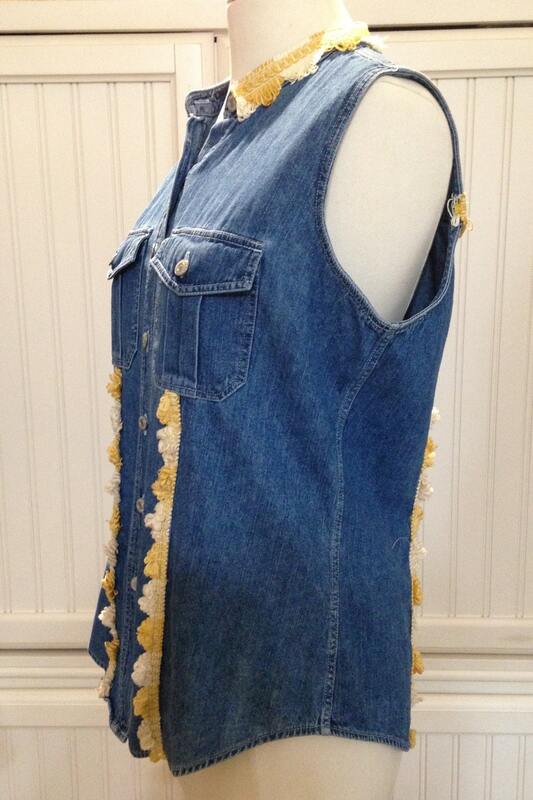 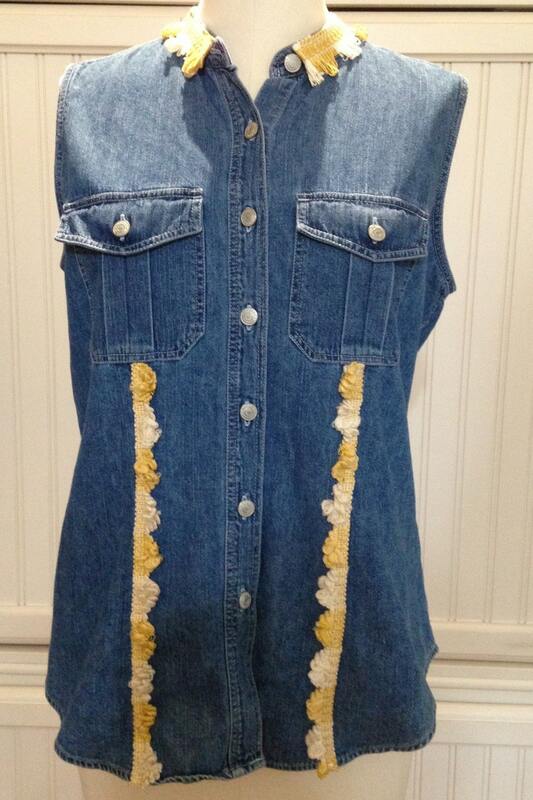 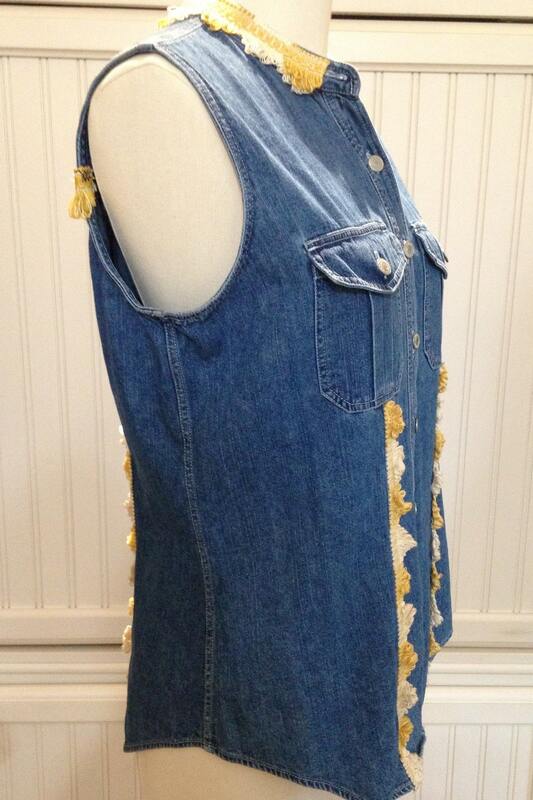 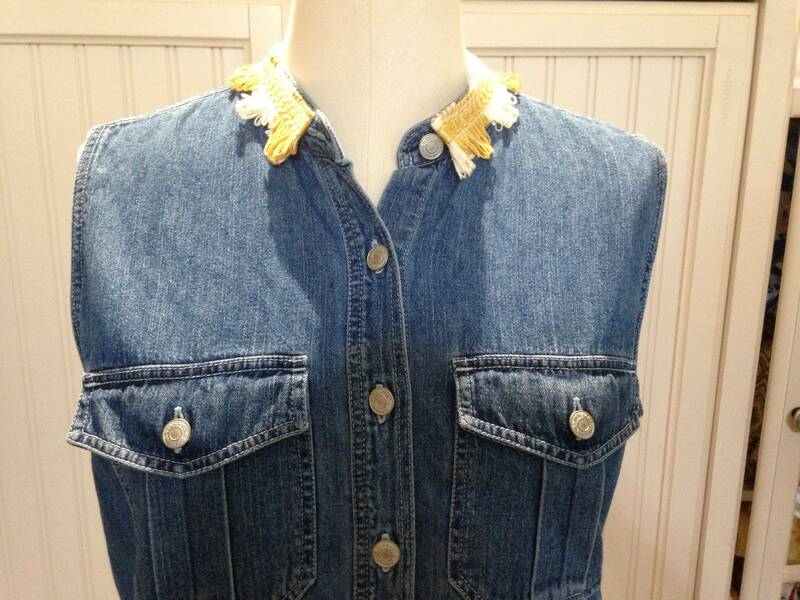 This blue fitted denim vest has been upcycled with vintage Gold and cream braided fringe trim. 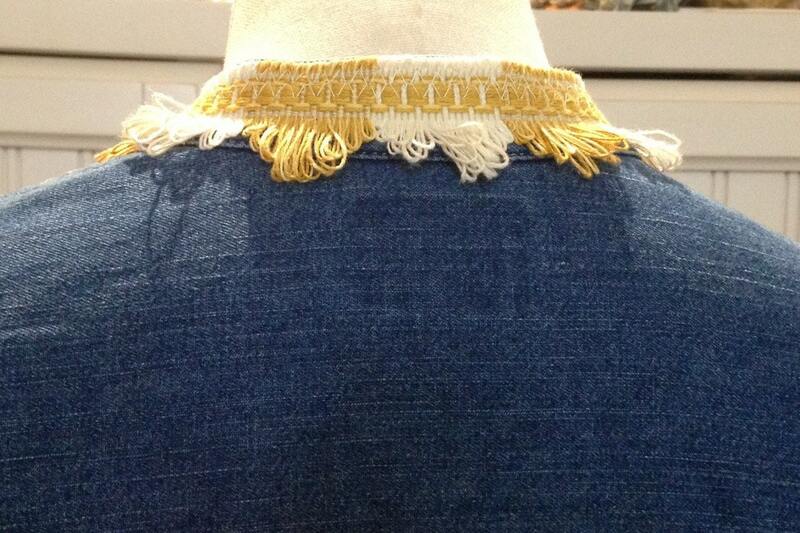 The sides, seams, and collar all are beautifully enhanced with the same trim in two different sizes. 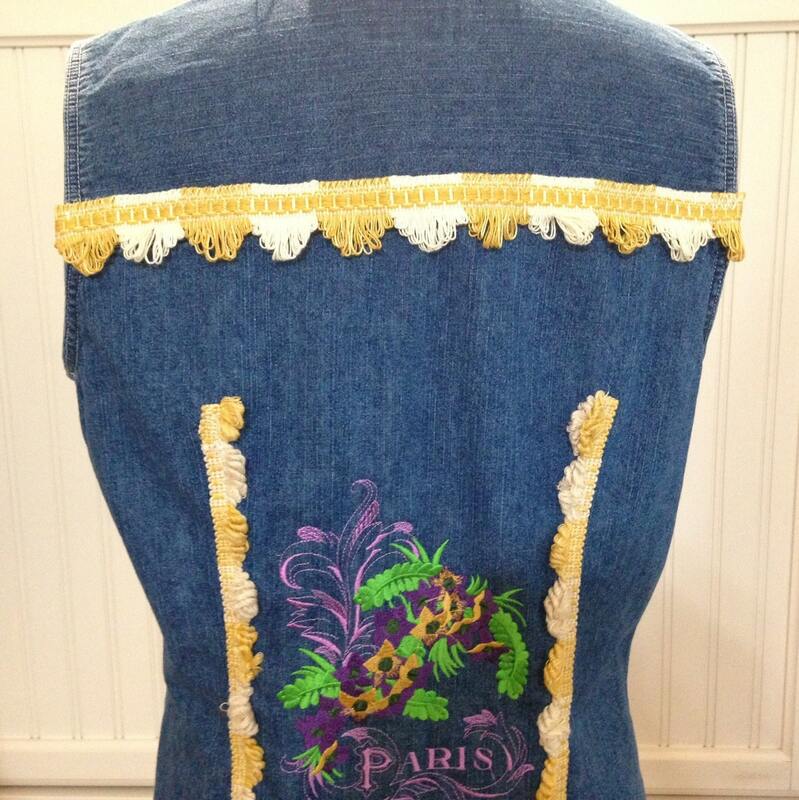 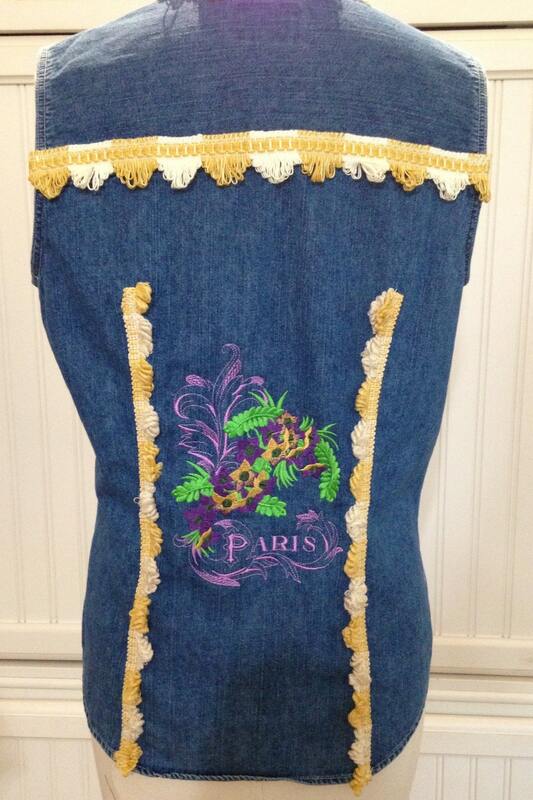 The back of the vest has been beautifully embroidered in Paris style with purple and gold flowers and accents. 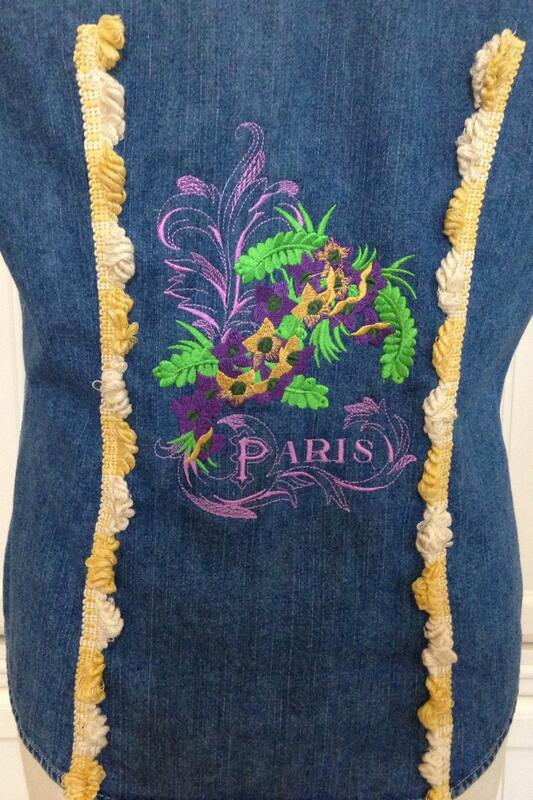 This lovely vest is a Women's US Docker brand size Petite Medium. 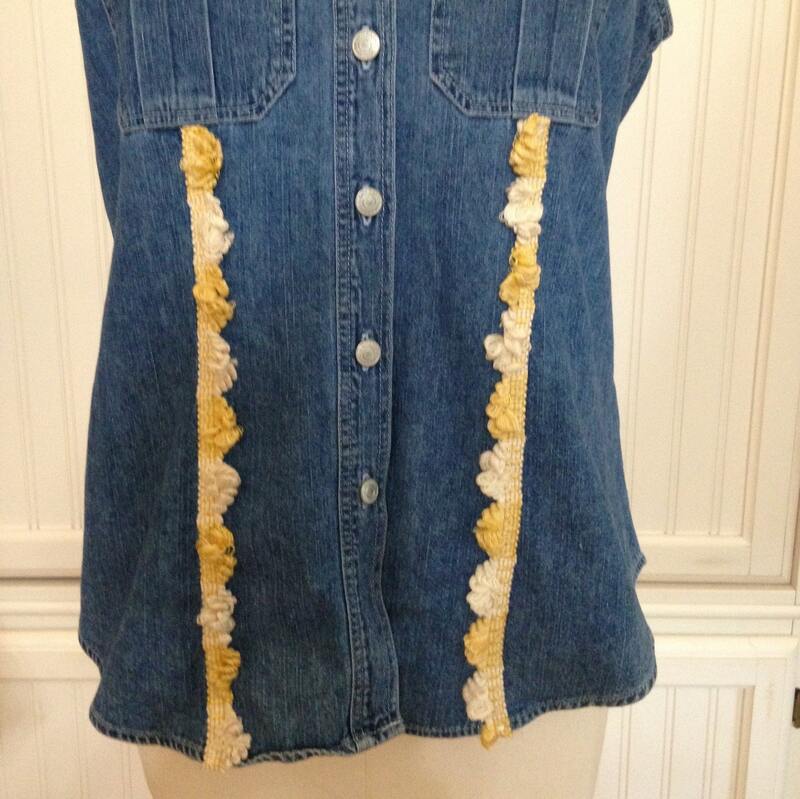 The vest has a slightly fitted silhouette and with the added trim it has a slimming style.